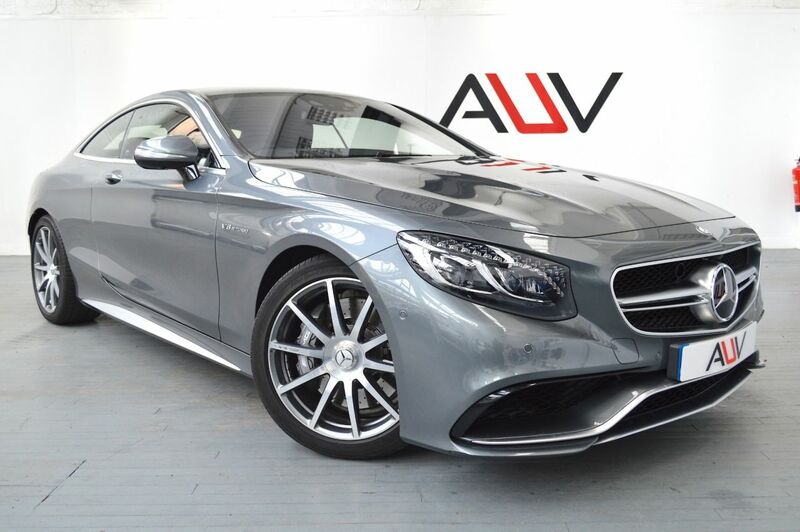 We are pleased to offer on sale this wonderful Mercedes S63 AMG Coupe finished in Selenite Grey with the following specification. 20-inch AMG 10 Spoke alloy wheels with grey callipers, Head-up Display, AMG Line Fine Nappa leather interior, Active distance assist, Parking pilot with Parktronic, Active blind spot assist, Active lane keeping assist, Interior and drivers auto-dimming mirrors, Rear impact warning and protection system, Active steering assist, Brake assist plus, Pre-Safe plus, Memory package, Climatised front seats, Seat comfort package, AMG Sports suspension, 360 Camera, Traffic sign assist, Command online, Electric sunblind for rear windows, Heated Windscreen, Burmester surround sound system, DAB Radio, DVD Player, Thermotronic Climate control, Night view assist plus, LED Intelligent lighting system with Swarovski crystals, Adaptive high beam assist plus, Dynamic Multibeam LED Headlights, AMG Body styling, Hands free access, Ambient lighting, Keyless Go, Adaptive brake lights, Driving assistance package plus, Air Balanced Package, Illuminated AMG door sills. Before you reserve a vehicle we ask that you read both our Business and Warranty conditions in the 'Terms' tab above. Specialists in vehicle financing we can offer our clients market leading, bespoke funding packages. Finance examples are subject to status, regulated and monitored by the FCA. Goods and services are supplied by Approved Used Vehicles Ltd. For further information on how to reserve this vehicle or tailor your finance package please call us on 01455 446505.